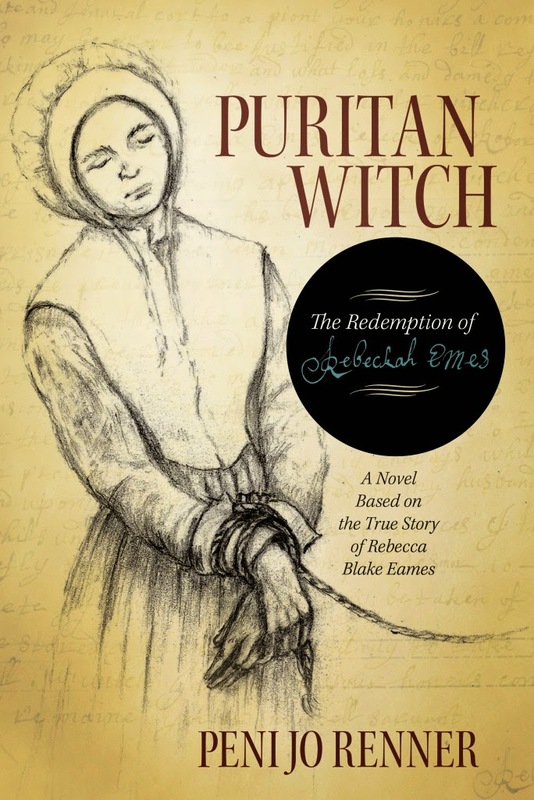 Please join Peni Jo Renner as she tours the blogosphere for Puritan Witch: The Redemption of Rebecca Eames from April 28-May 30. On a cold night in 1692, two young girls are caught up in the divining games of a slave woman-and then begin to act very strangely when the game goes wrong. Suddenly, Salem Village is turned upside down as everyone fears that witches may be involved. Six months later, as news of the girls’ strange behavior becomes known, fear and suspicion overwhelm a nearby farming community, pitting neighbors against neighbors and turning friends into enemies. When Rebecca Eames makes one careless utterance during a verbal attack on her family, she is falsely accused of witchcraft. After her fate is decided by three magistrates, Rebecca must endure a prison sentence during which she and her fellow captives have no choice but to valiantly struggle to find humanity and camaraderie among dire conditions. In this novel based on a true story, a woman wrongly imprisoned during the seventeenth-century witchcraft trials comes full circle where she must determine if she can somehow resume her life, despite all she has endured. 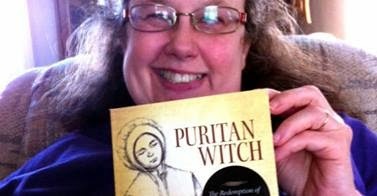 Peni Renner is the author of “Puritan Witch: The Redemption of Rebecca Eames”, an award-winning historical novel based on the true-life account of Peni’s 9th great grandmother. The book is Renner’s first published work, and follows Eames’ life and struggles in 1692 Massachussetts during the Salem Witchcraft Trials. Writing historical fiction has always been a lifelong dream of mine. I was discouraged for many years after receiving multiple rejection slips, and turned to other creative outlets like crocheting, quilting and cross-stitch for many years. Then I met a 3rd cousin of mine online who is also into geneology and history. She told me we shared a common ancestor who was involved in the Salem Witchcraft Hysteria of 1692, and her story had never been told. My love of writing was rekindled and I began to research this ancestor, Rebecca Blake Eames. In August of 2012 I had the privilege of visiting her grave in Boxford, Massachusetts.